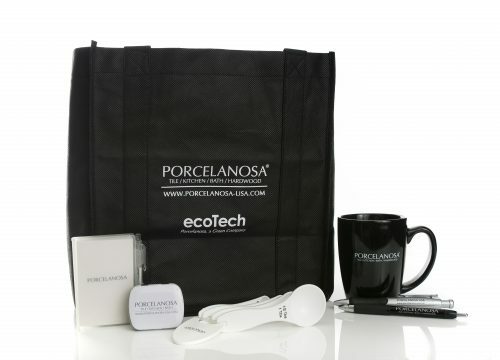 A high end European manufacturer of kitchen and bath tile asked us for appropriate gifts to thank their customers, and we vowed to keep to their clean, modern style. Beautiful bamboo kitchen utensils were packaged in burlap keepsake sacks to promote the eco lines. 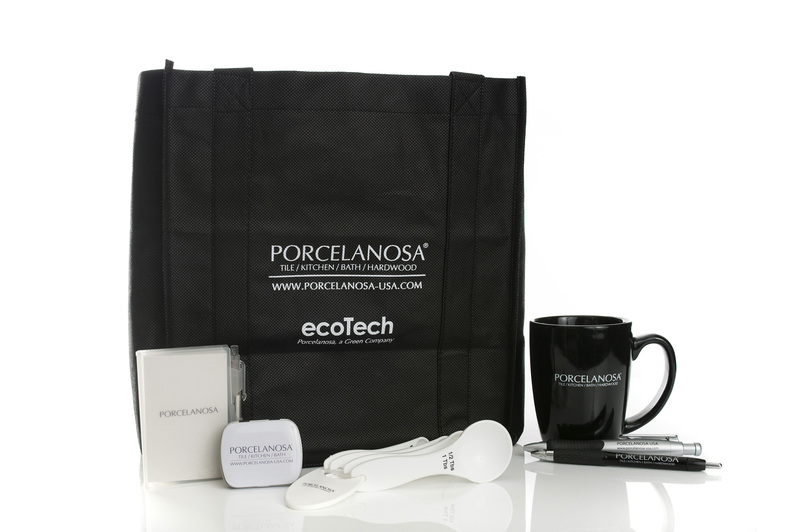 Crisp black/white kitchen products along with sleek office products for the showrooms were created to mimic the minimalist feel of the tile collection.